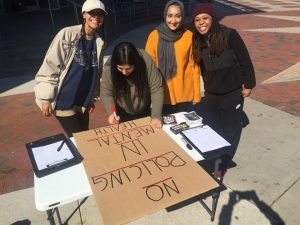 A student movement called No Policing in Mental Health wants VCU to replace police officers with mental health clinicians when doing wellness checks on students. 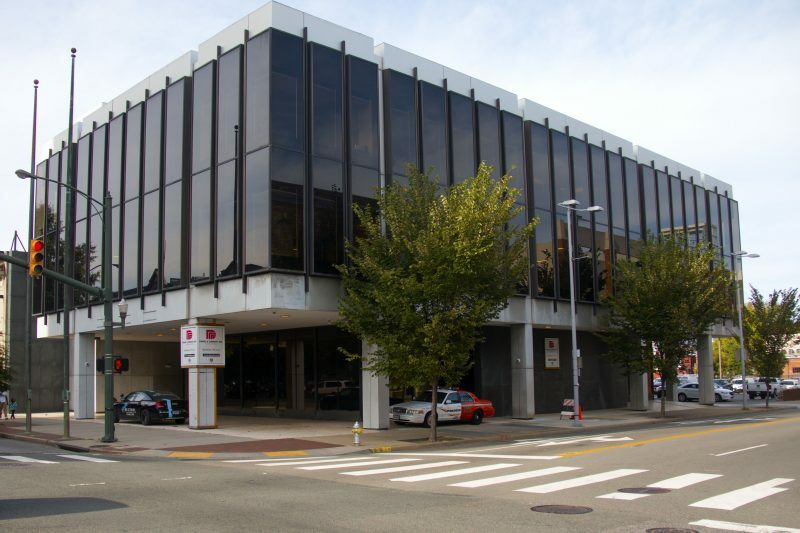 The police department has officers trained in crisis intervention and routinely conducts wellness checks on students, according to a police spokesperson. The checks happen when a family member, staff member or friend contacts the police with concerns about their whereabouts or behavior. But members of the group say police officers can make students with mental illnesses, especially students of color, feel unsafe and may cause more harm than good. No Policing in Mental Health held its first meeting March 21 in the Academic Learning Commons. Most students who attended participated in the discussion, saying they came to help students of color as well as get involved in campus life. Members of the group have table in the Compass. Photo courtesy of No Policing in Mental Health. Munshi has worked with Virginia Student Power Network to organize the movement. The group, which was present at the March 22 Board of Visitors meeting, had its second meeting March 27 to go over advocacy strategies. Angelica Cradle, a sophomore who attended the meeting, said she has seen some students react negatively to the movement when the group was tabling on campus. The group recently met with Student Affairs and University Counseling staff. A police spokesperson said the department is considering some of the group’s suggestions. Munshi said during the meeting that members of the administration cited safety concerns as a reason for having health professionals conduct wellness checks instead of police officers. Munshi said the parties will continue their discussion on April 25. This is a great idea whose time has come, not only for mental health, but also all wellness checks, and all 911 calls. Police are completely unequipped, even when trained, to overcome their law enforcement tendencies. As a result, they endanger people’s lives and saddle many with absurd crimes. The focus has been on amnesty–while that’s one element, taking police out of the health provision equation, except where nothing else is available/on an emergency basis, is a really good solution to a very big problem. Even when police are not summoned on medical calls, their handling of impaired persons–mental or chemical–would be greatly improved by having someone with appropriate non-LE medical credentials at the scene. I encourage VCU students to connect with other VA higher education students to work in this direction, as well as the fixing the recently passed Dillon’s Law, which remains deeply flawed.